Edwin was born in Harrisburg and raised in Mechanicsburg. He graduated from Elizabethtown College with honors in Business Administration with a concentration in Management and a minor in English. After graduating Edwin pursued a career as a Mortgage Consultant and also served as The Assistant Deputy Treasurer for the City of Harrisburg before receiving his Real Estate License. From renovating properties, to advising clients on the complex mortgage markets, to his service in the public sector; Edwin has had a considerable amount of experience in a variety of areas in Real Estate. His knowledge of Dauphin, Cumberland, Perry, and Lancaster counties is far reaching and allows him to provide superior service to buyers and sellers alike. Edwin consistently performs in the top 5% of Central PA Realtors.. 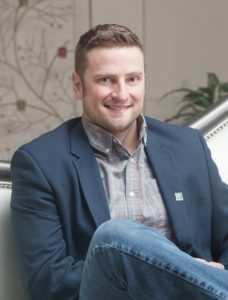 He currently serves as the President for the local Greater Harrisburg Association of Realtors. Edwin is a proud member of the Pennsylvania Association of Realtors. He serves on the Board of Directors and the Executive Committee.